#1 – Get rid of the objective. The truth is, your objective is painfully obvious. 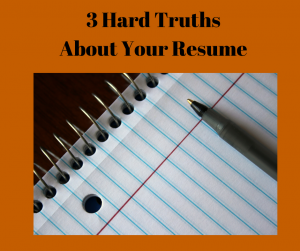 In fact, you wouldn’t be sending a resume if you didn’t want a new job. 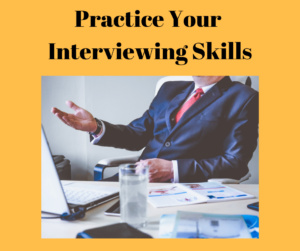 So, your ultimate objective is to secure an interview for a new job opportunity. 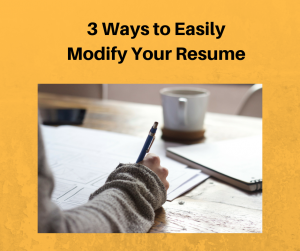 So, instead of putting an objective on your resume—which takes up valuable space at the top of your document—use that area to make a short career summary that allows you to hit upon the key words used in the job posting. #2 – Don’t include every single job. The hard truth is that NO ONE wants to hear about you flipping burgers in high school or working as a bank teller 25+ years ago. The ONLY time that information is relevant is if you are now applying for a similar position. Otherwise, this information doesn’t pertain to today’s job environment and just dilutes your resume with old information. #3 – Be careful with dates. Don’t include dates on your education—unless you graduated a couple of weeks ago and have zero work history. Otherwise, the date you graduated from high school or college is not relevant. 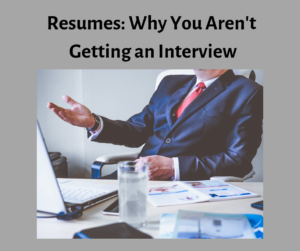 In addition, include the last 10-15 years of job history and—if you feel the need to include older information—then include it in a section of earlier work history with no dates. Finally, each time you consider adding a section, responsibility, or achievement, think, “Who cares?” and “Does this matter to THIS job opportunity?” If the answer is that it won’t matter in the long run, then don’t include it. Instead, think of your resume as a clean, concise, and focused document that allows you to highlight your strengths and forgets the rest. 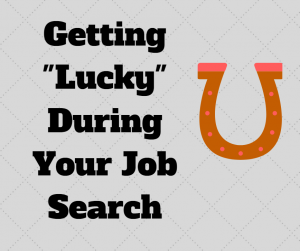 Do you ever wonder how some people get so “lucky” with their job search? They just seem to find the right job at the right time and basically fall into the perfect opportunity. However, that is (most often) NOT the case. Behind the scenes, these job seekers have put in hard work, determination, and have been extremely organized during the job search. Read below for five ways to increase your “luck” while you look for a new job. #3 – Clean up your social media profiles. While LinkedIn is your professional online presence, keep in mind that others (Facebook, Twitter, Instagram, etc.) may show fun photos of your family and personal life; however, these photos can also give employers hesitation when reaching out to you. Delete anything that doesn’t serve you well in your job search and be certain that anything you put on your social media channels is something that you feel comfortable with EVERYONE seeing. #4 – Stay organized. Keep track of where and when you have applied for job opportunities. Follow-up with these companies if you don’t hear anything within 7-10 days. If you land an interview, follow-up immediately with a thank you email and then send a card in the mail. These little things can add up to a big impact if you DO THEM. #5 – Tell (trusted) people you are on the job hunt. Reach out to your network and tell them you are open to a new opportunity. Use the rapport you have built within your industry and within professional associations to secure that new job. While you may have to keep your job search somewhat quiet, this is the time to use that network you have built to cultivate a job within your field. The next time you think that someone just got “lucky” with his or her job search, think again. While you may see the end success, it is far more likely that the person has put in a great deal of work ahead of landing that new successful job. 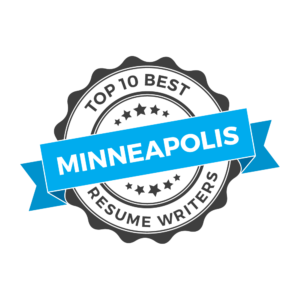 If YOU are ready for a job search, contact me today – I’d love to help you reach your job goals!